But that is not the only event on the PGA Tour going on this week. Down in Puerto Rico at Trump International Golf Club, the 2013 Puerto Rico Open will host the players who do not qualify to participate in the WGC Cadillac Championship. But if you think that this means there will be a lack of talent, you are sorely mistaken. 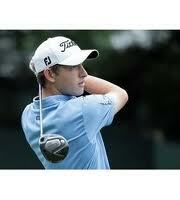 In fact, on display will be some of the best up and coming young players out on the PGA Tour. There are two names in particular that you should pay attention to when watching this event. They are Patrick Cantlay, and Luke Guthrie. Cantlay won just about every accolade in the books as an Amateur golfer, including reaching the No.1 ranked Amateur spot in the world before turning professional in 2011. He is just 20 years old and already has all of the shots in the book. His PGA Tour career so far has been rocky, but he won last week on the Web.com Tour, which was his first win as a professional. Coming in hot, Cantlay has the potential to really make some noise this week at Trump International. As for Guthrie, he is just 23 years old and is coming off of a third-place finish at the Honda Classic, where he held the lead in the third round, and was in contention all the way through Sunday. Guthrie has two Web.com Tour wins under his belt, both coming in back-to-back weeks back in September of 2012. 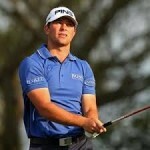 It was enough to earn his full membership status to the 2013 PGA Tour, where he has taken advantage of it. Off of his third place finish last week at PGA National, it will be fun to see how Guthrie follows that up, and if he can keep his solid play going. Guthrie is one of the top favorites to win this week as picked by oddsmakers at Bovada Sportsbook. Coverage of the Cantlay, Guthrie, and the rest of the field at the 2013 Puerto Rico Open can be seen all week on the Golf Channel.